Shipping is complimentary in European Union. Directly from The Castle to your home with no extra costs. Thinking of your comfort, JERZY DROZD organizes the transport of the acquired creation and manage all formalities. As always, JERZY DROZD strives to manage its shipping costs outside European Union closely and minimize shipping price while maintaining our commitment to exceptional client service. 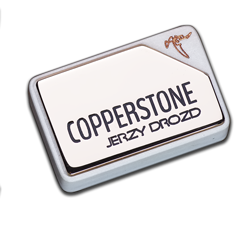 Besides the magnificent 6 years warranty and complimentary 2 years care plan, JERZY DROZD LIFETIME SUPPORT provides e-mail support to JERZY DROZD legitimate proprietors for any consultation regarding his JERZY DROZD Creation lifetime. We are well aware that acquiring a JERZY DROZD is to make come true a long-standing dream. It is essential to us that you relish the encounter with your dreamed JERZY DROZD. For this reason, after receiving your JERZY DROZD Exceptional Creation, you will enjoy a 40 days period of reflection, during which you may return your JERZY DROZD Exceptional Creation and receive refund of the full value of the instrument.